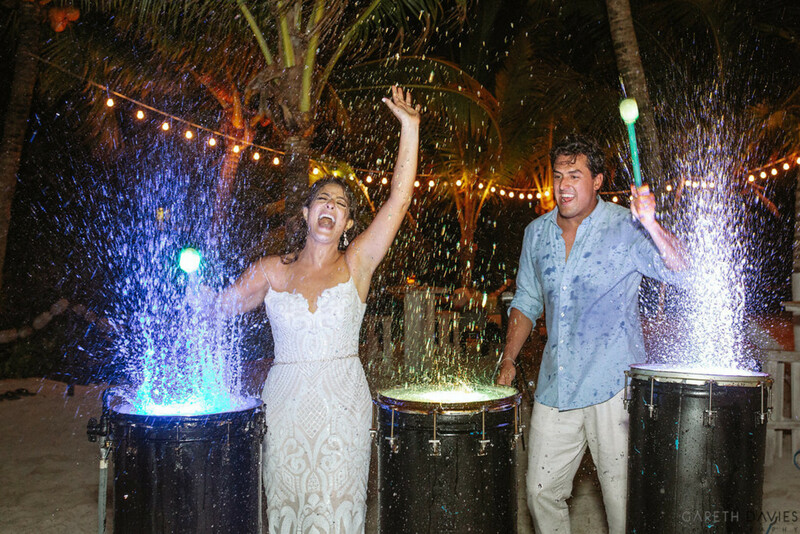 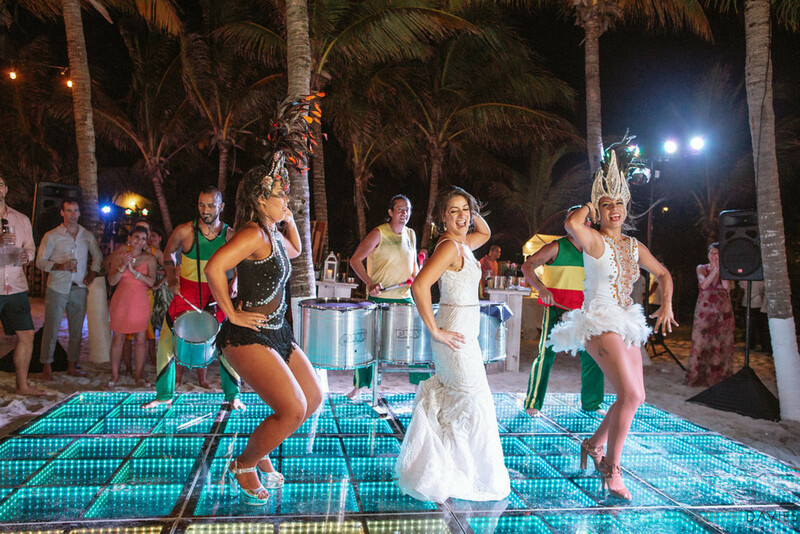 This fun-loving couple agreed that getting married meant throwing the party of a lifetime, and we are living for it! 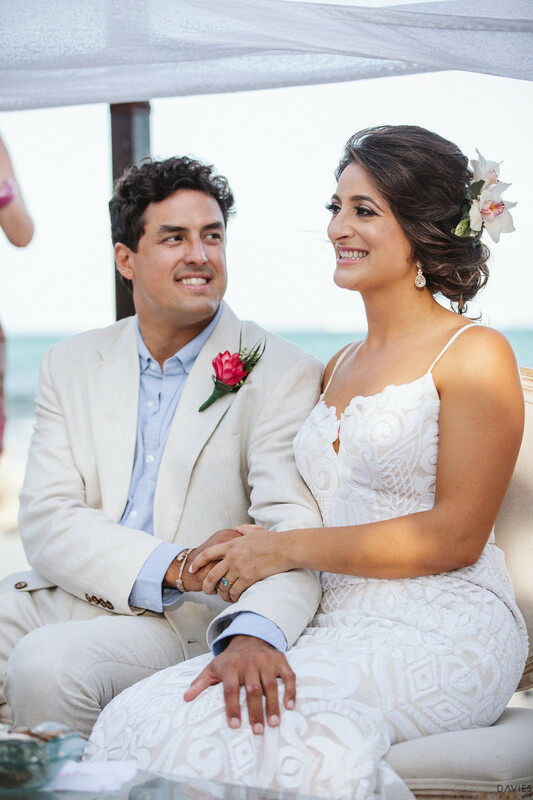 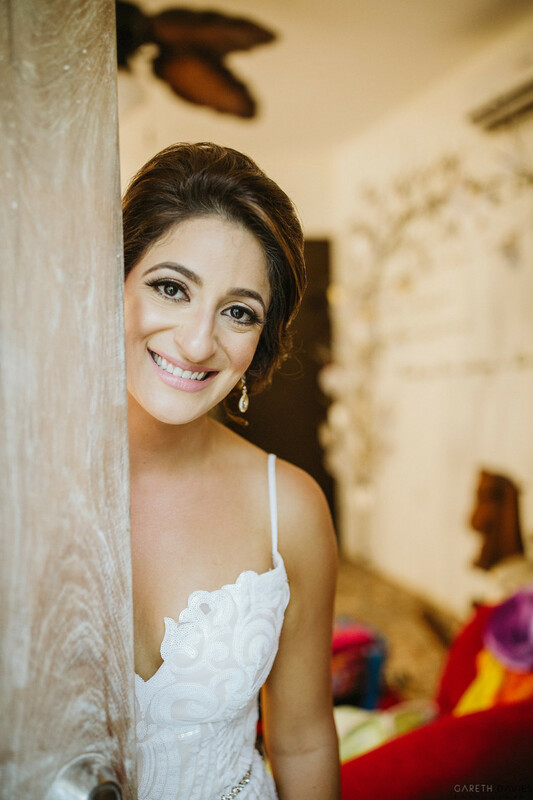 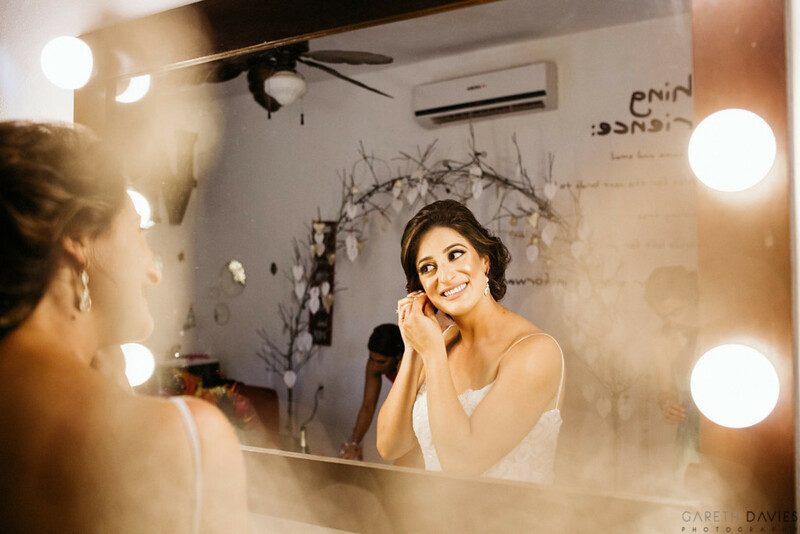 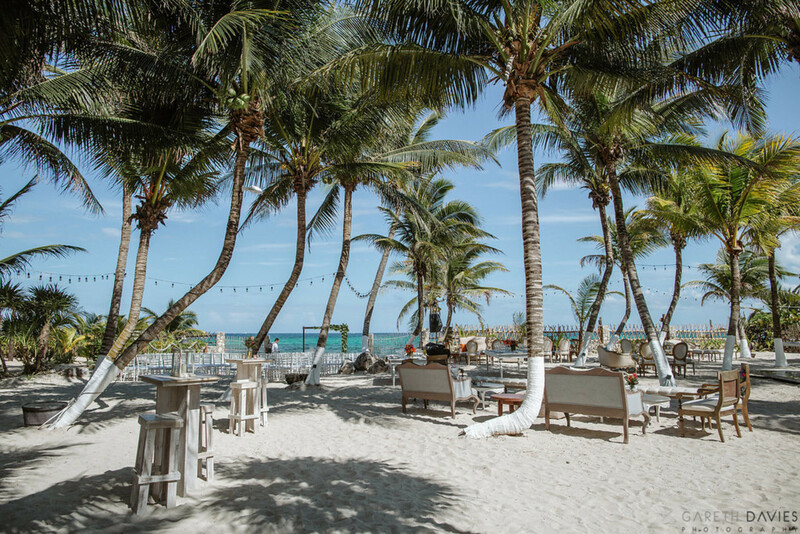 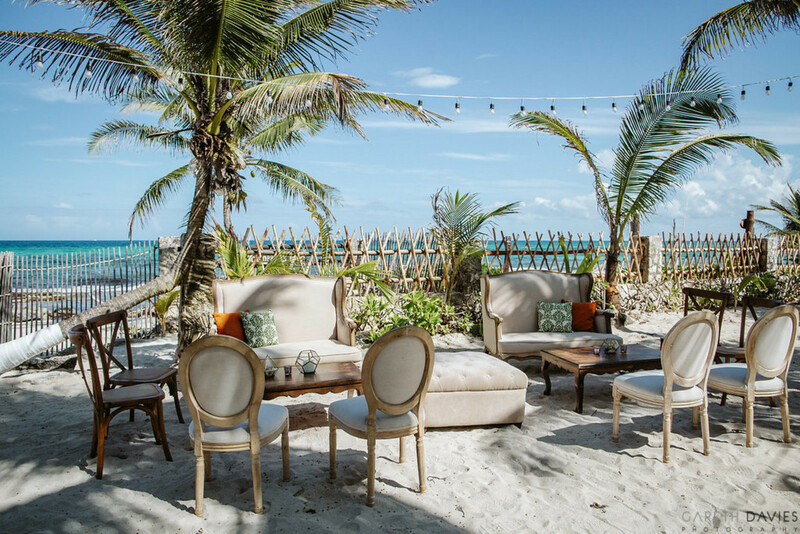 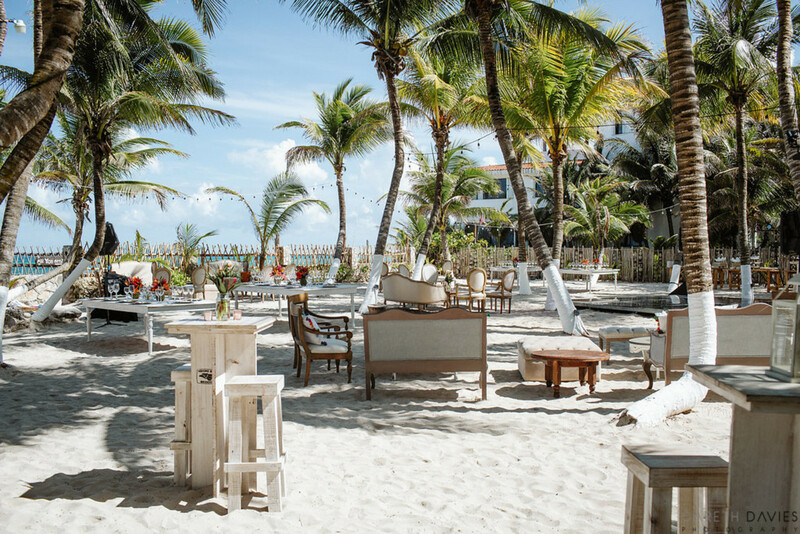 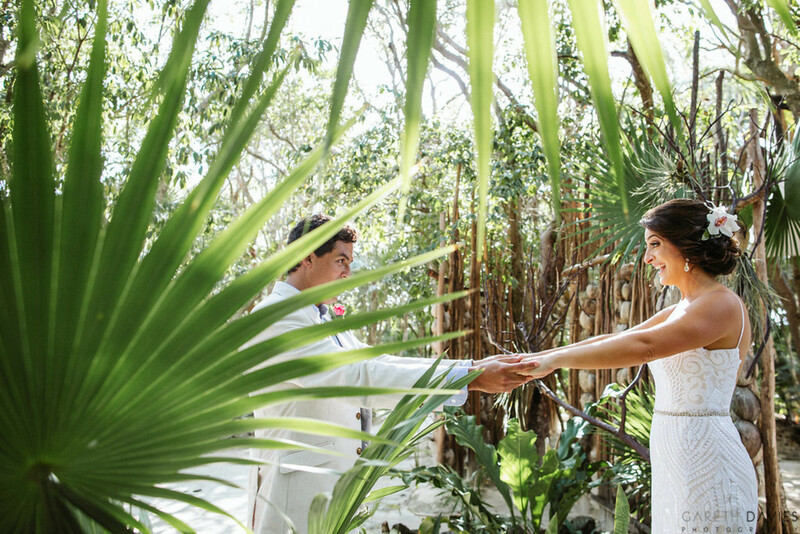 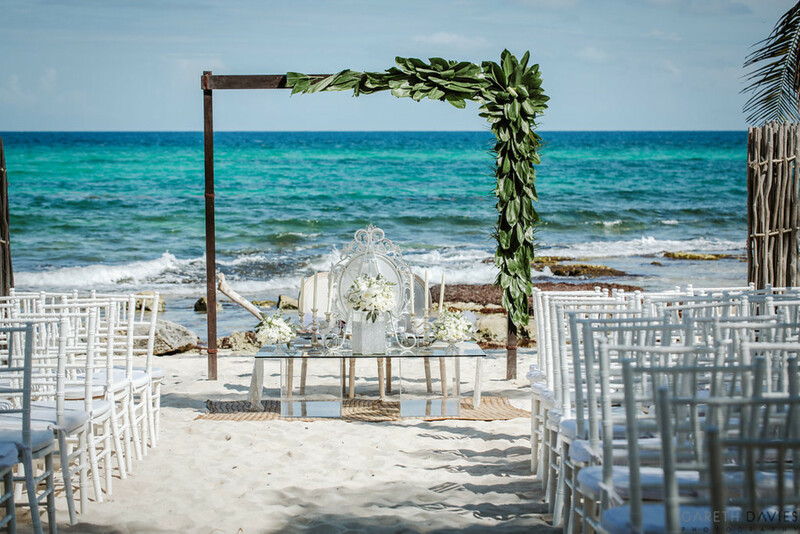 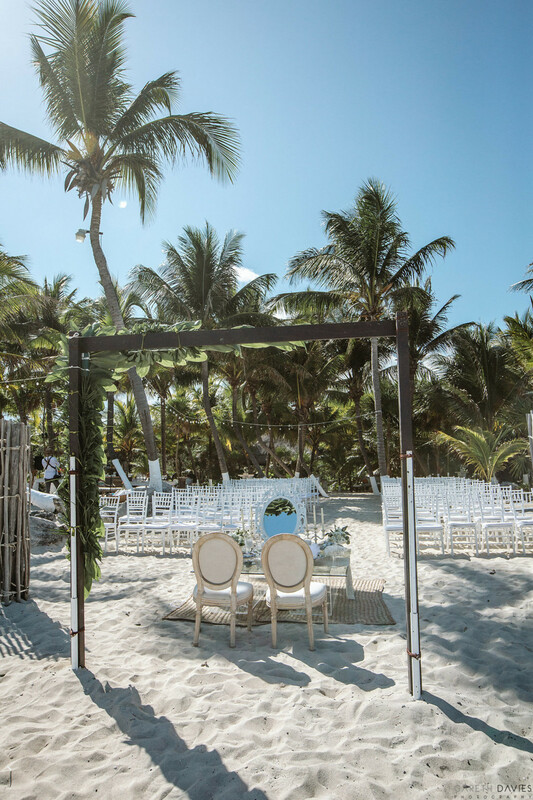 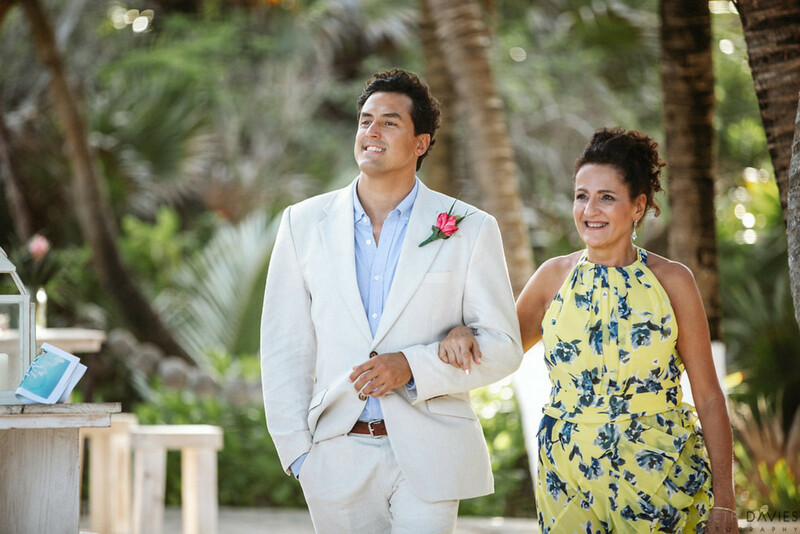 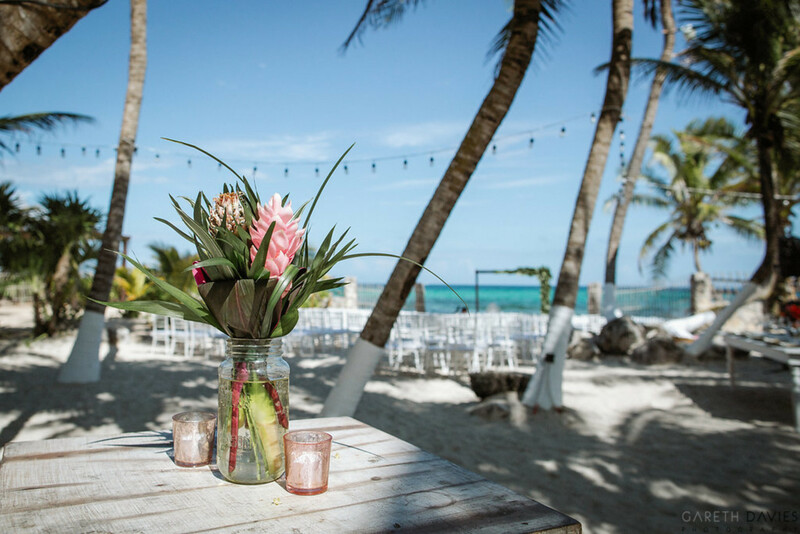 Sarah and Juan pitched the idea of a “non-wedding” wedding party to their amazing wedding planner Mango Weddings & Events, and they had a blast putting together all the little details to bring their vision to life. 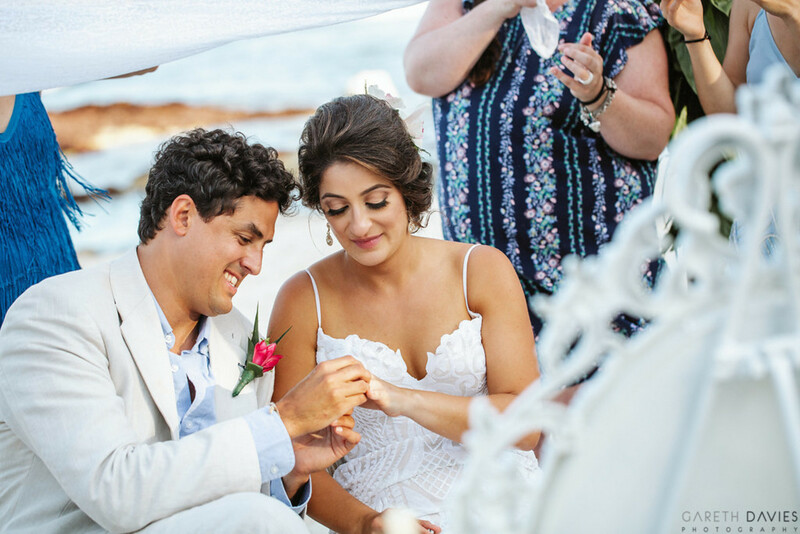 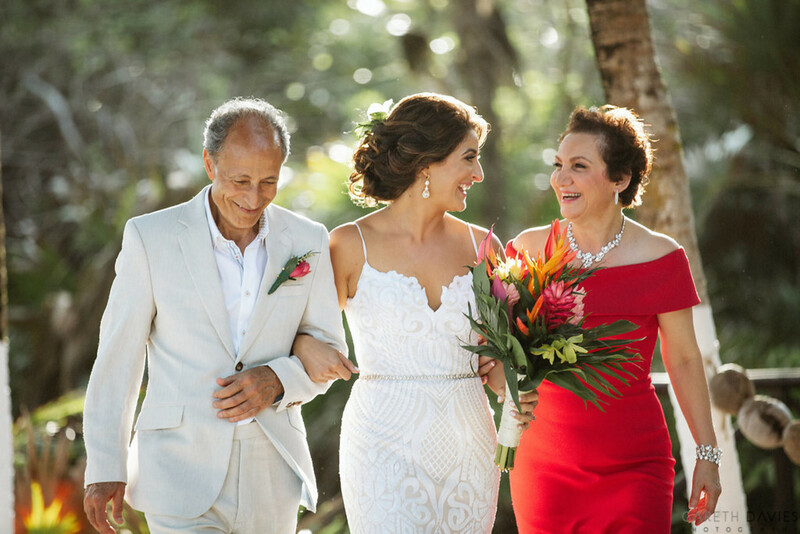 Scroll down for all the photographs from this Persian batucada wedding at a private beach venue in Mexico from Gareth Davies Wedding Photography! 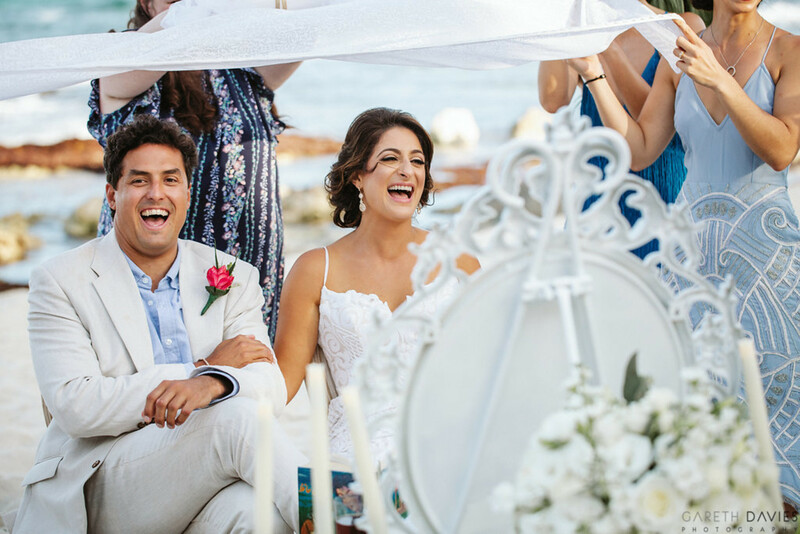 This upbeat, happy, easy going couple from L.A. was a joy to work with! 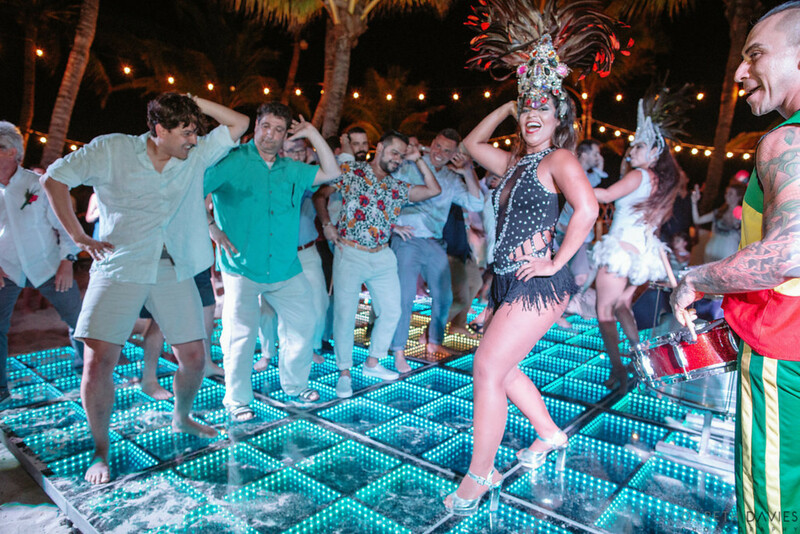 They pitched a wonderful idea of a “non-wedding”, wedding party and gave us enough direction and creative freedom to run with it. 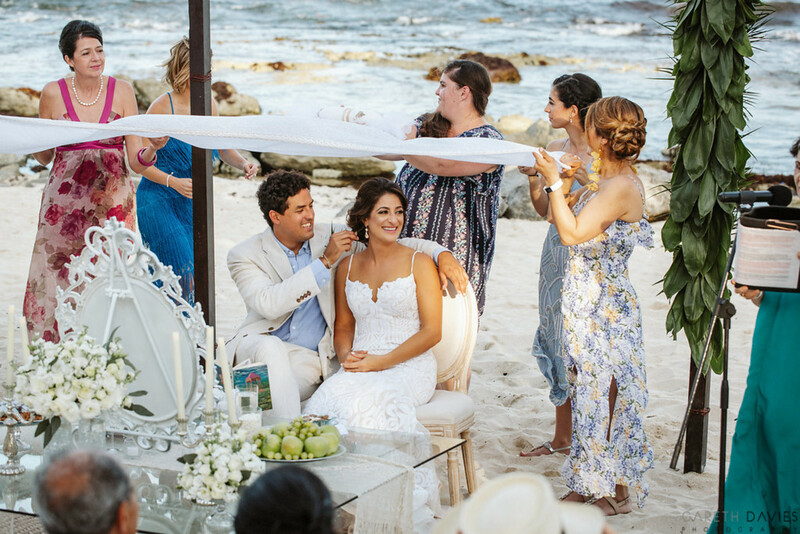 The end result was absolute magic: star-studded skies, gentle ocean breeze, delicious food and lots of laughter and love. 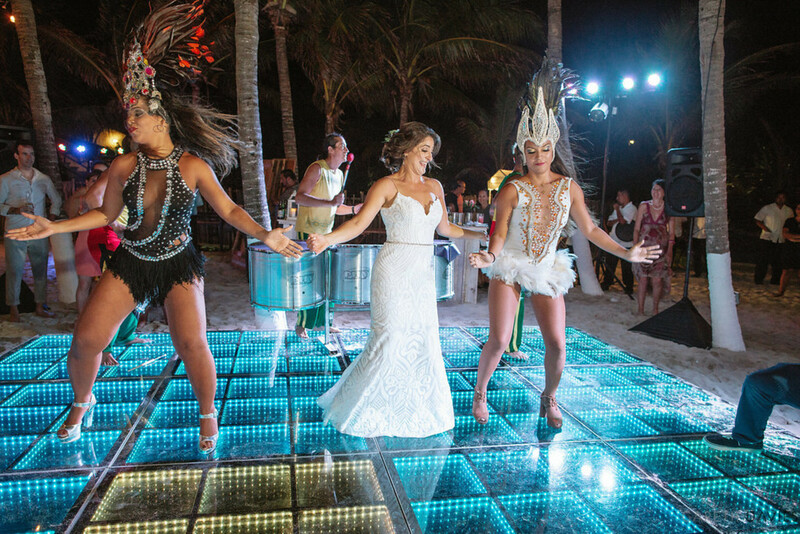 To achieve the vibe they were going for, the venue selection was the most important step in the planning process. 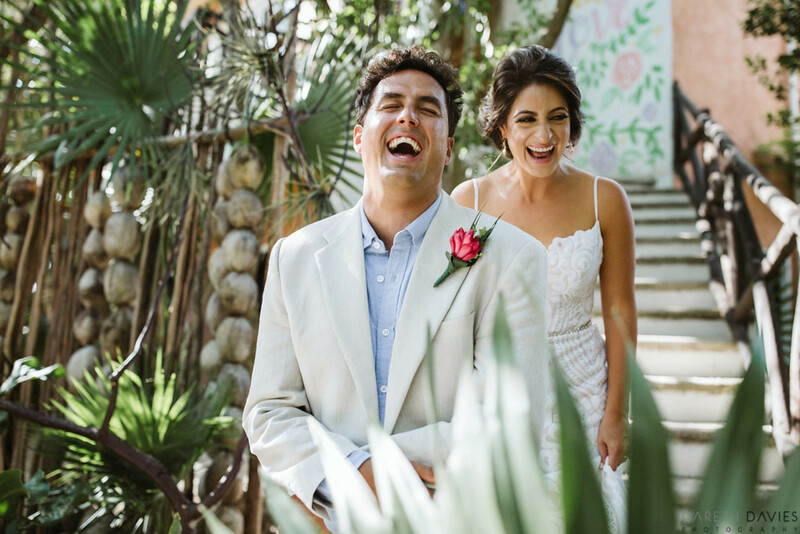 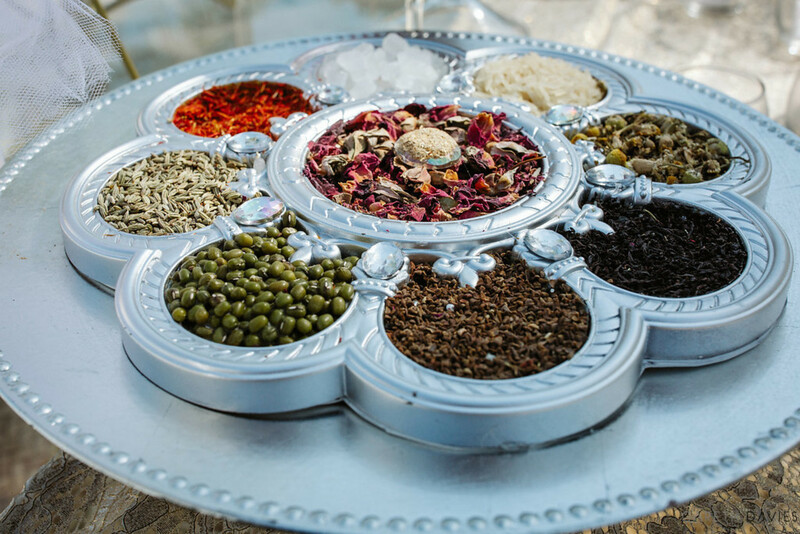 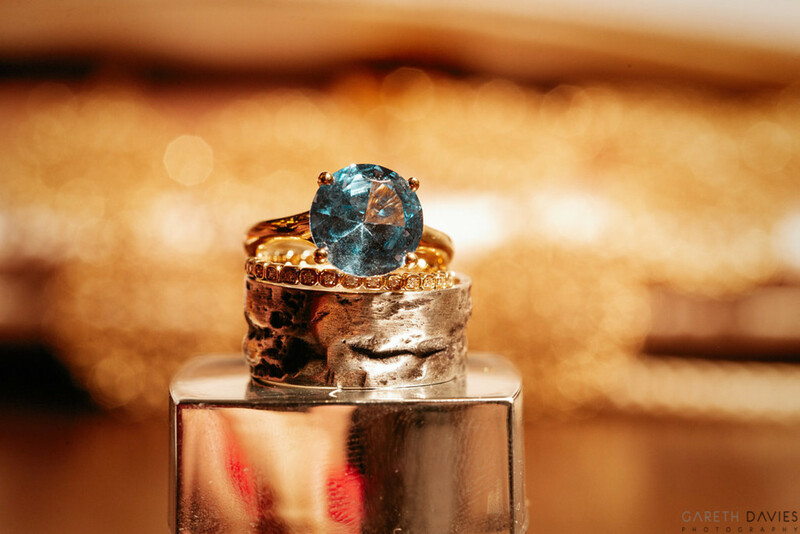 Sarah and Juan visited a number of venues prior to choosing Secret Jewel as the place to hold their wedding fiesta and traditional Persian ceremony. 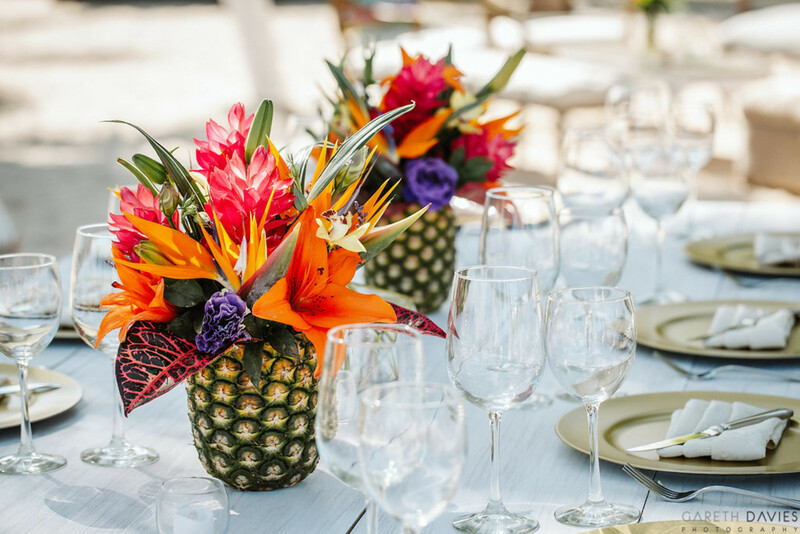 The food was a key component of the day, and chef Cristian Morales did not disappoint! 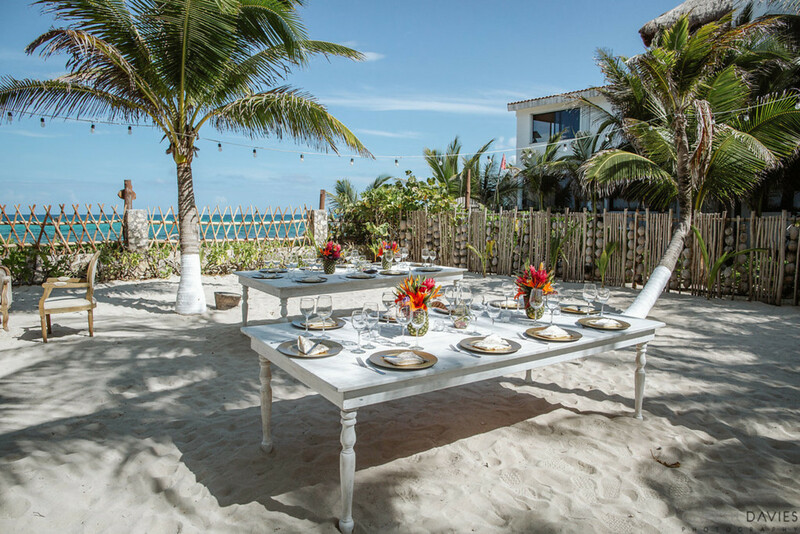 Guests feasted on a variety of freshly grilled meats, refreshing ceviche and delicious ‘marquesitas’, a local favorite dessert! 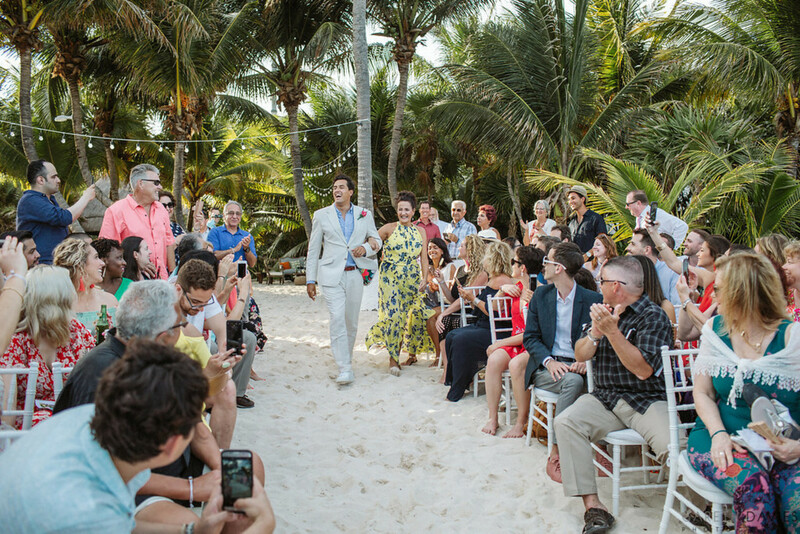 At this nontraditional, wedding fiesta there were no stuffy seating arrangements, no seat assignments or seating charts. 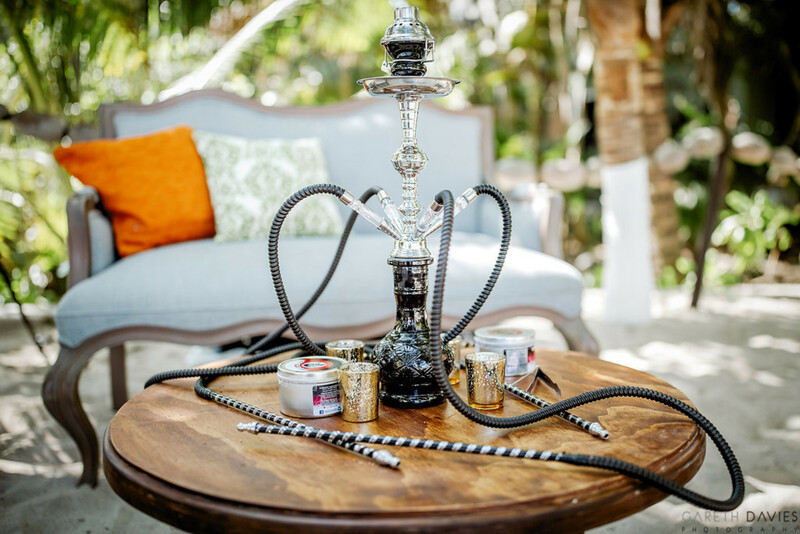 Guests lounged on vintage poofs and hookah chill outs. 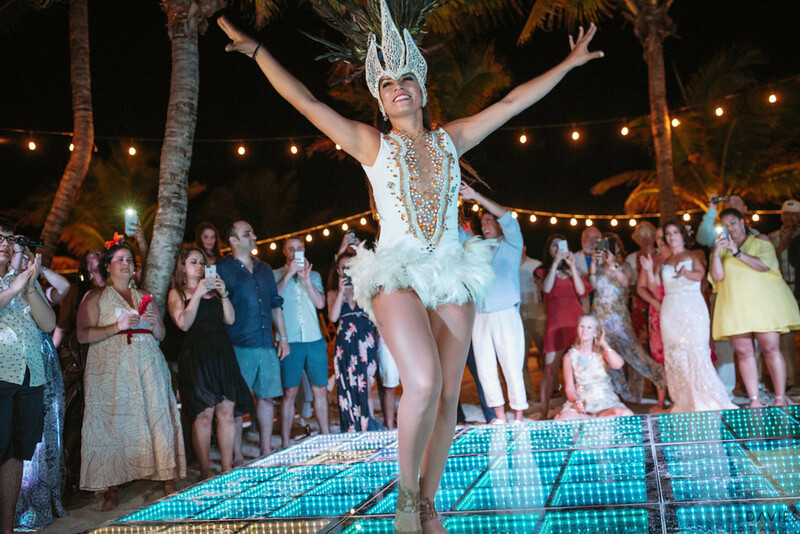 The dance floor was the centerpiece of the entire party and DJ Luca from Uno Audiovisual kept the guests dancing to the Persian and Latin rhythms the entire night. 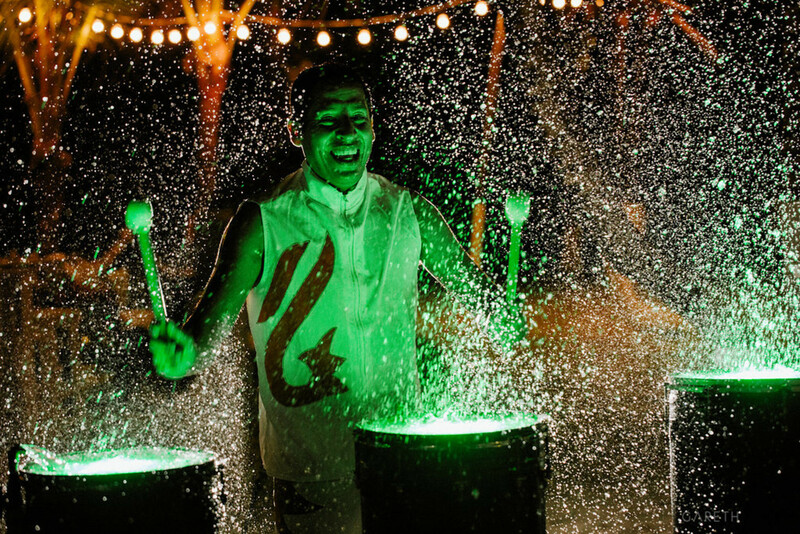 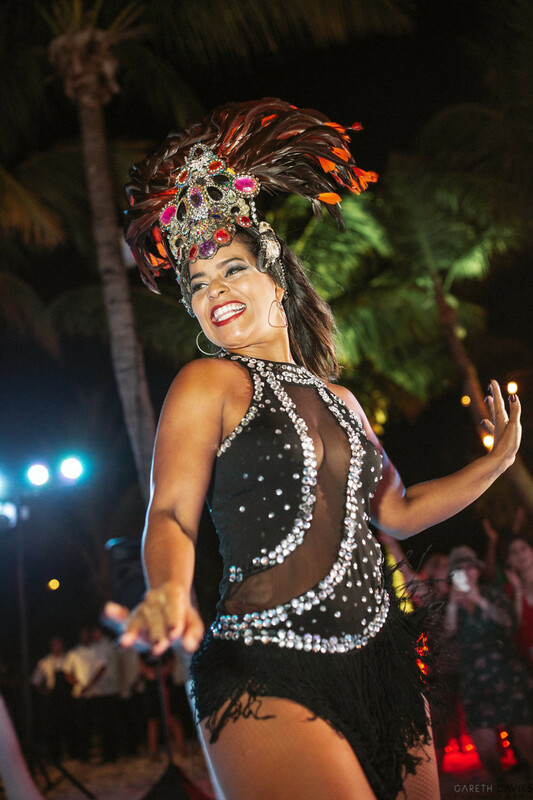 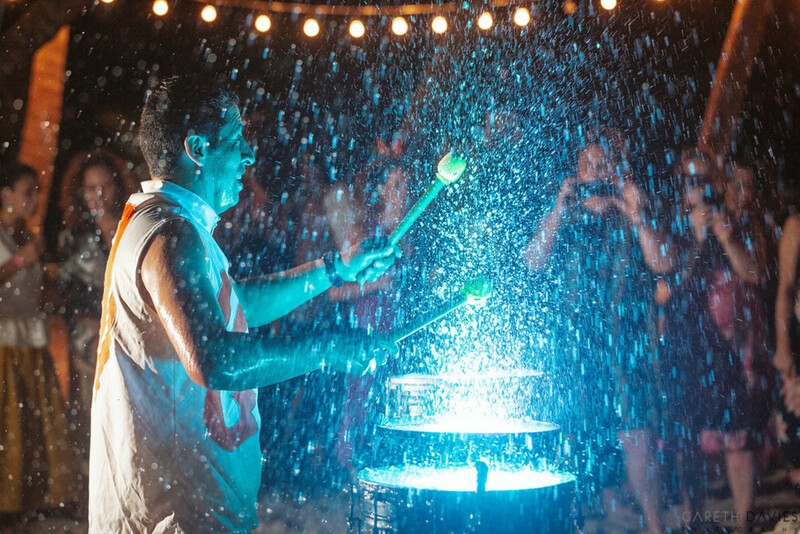 The best part of the night was definitely the Hora Loca when a plethora of artists, from stilt walker to batucada dancers and water drummers to keep everyone entertained until the early morning light! 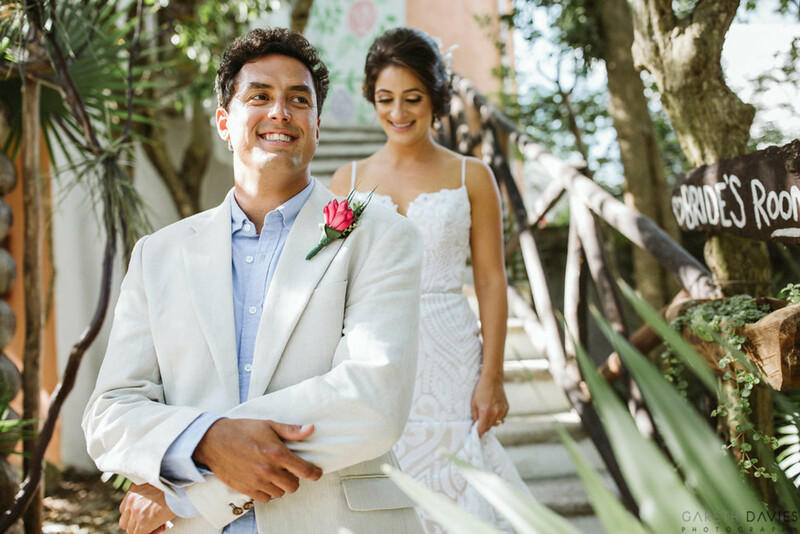 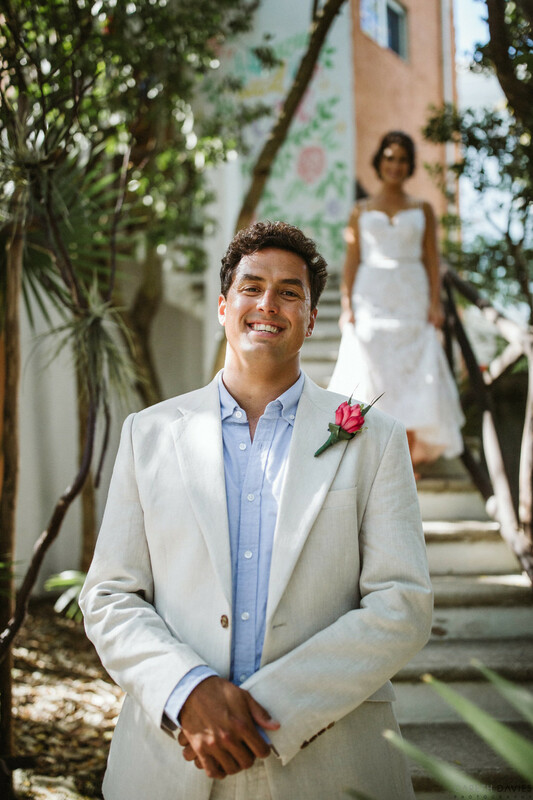 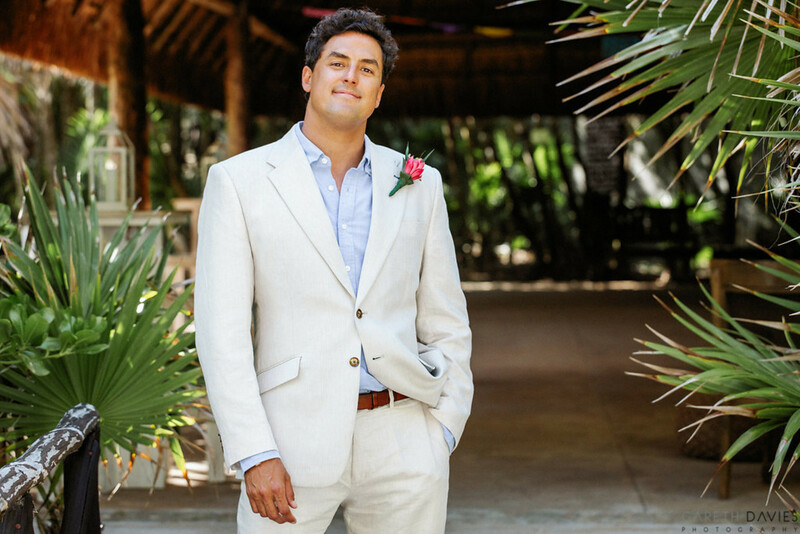 The eclectic mix of the guests who came to Mexico from different parts of the world, created a wonderful energy and both, the stunning bride and handsome groom, went home happy! 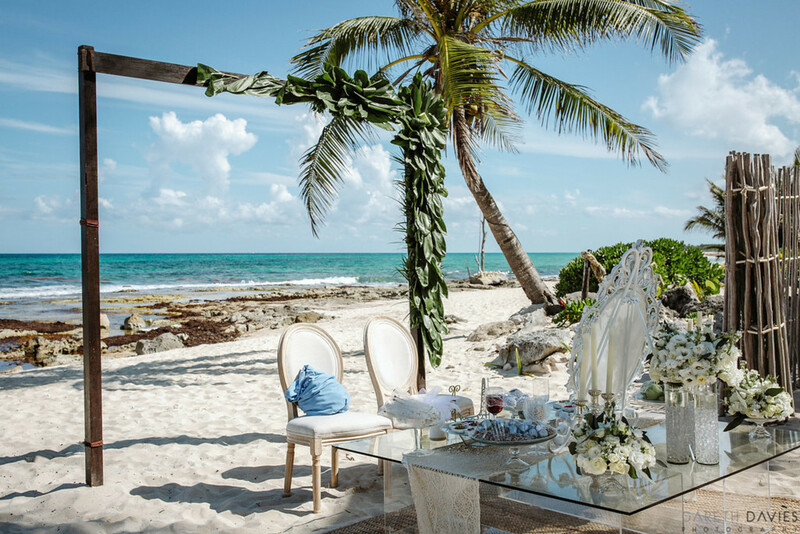 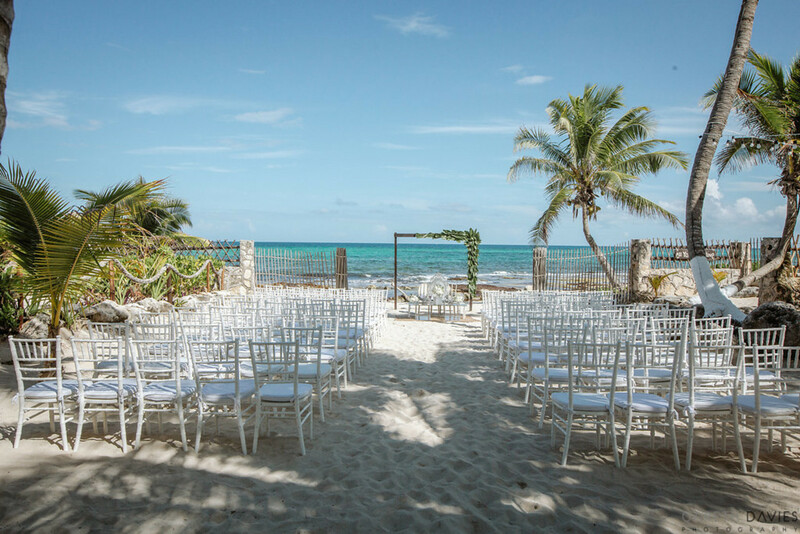 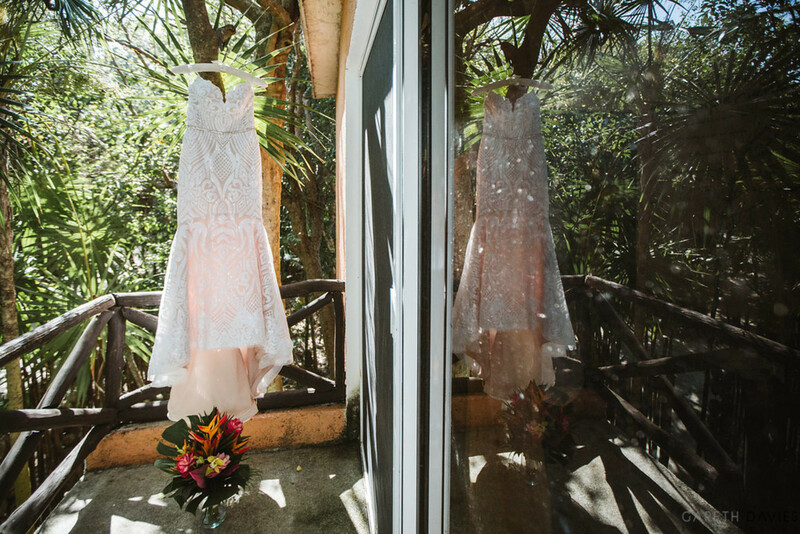 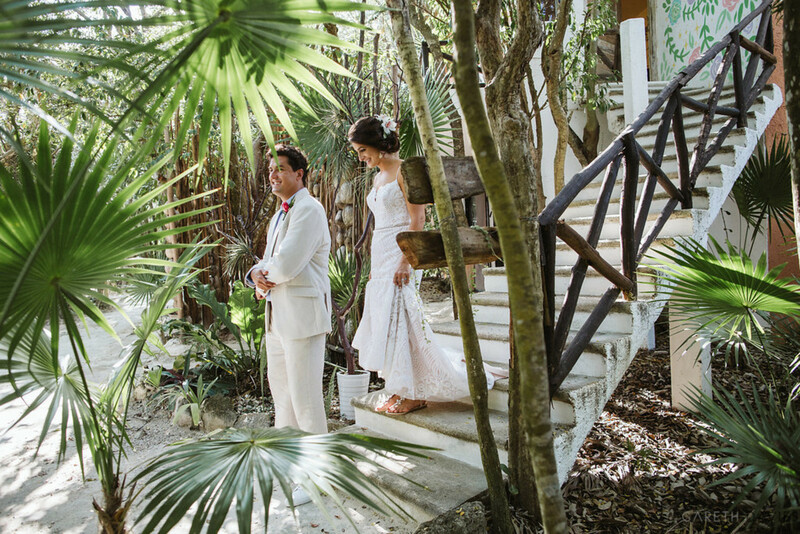 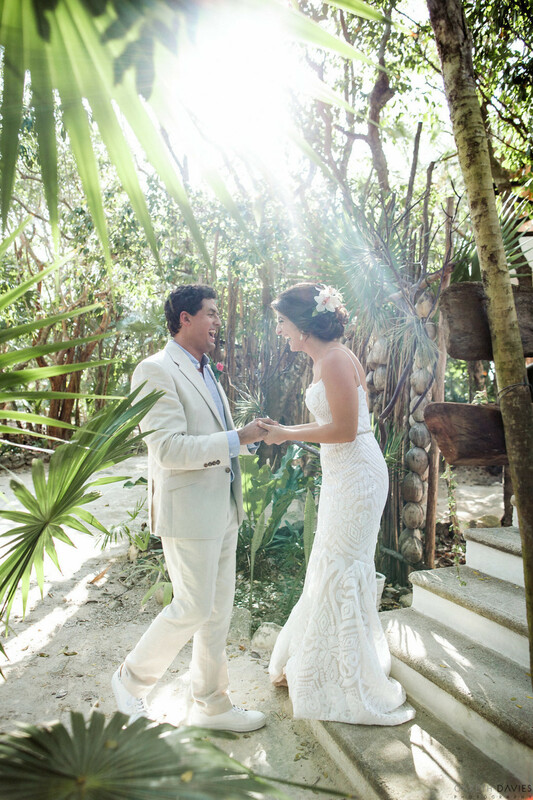 Thank you to Sarah, Juan and Mango Weddings & Events for sharing this gorgeous wedding with us!